Often known as a palate-pleasing place for foodies, St Augustine, Florida restaurants really stand out among other travel destinations! In fact ask any previous visitor what they remember most, the food will be one of the first things they speak of! 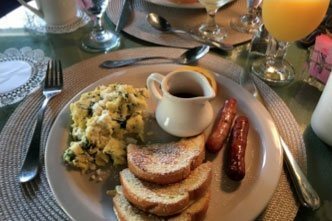 Staying at one of St. Augustine’s Bed and Breakfast Inns like the Agustin is absolutely perfect for those who also are interested in a home-cooked breakfast! We certainly aren’t afraid to boast about our two-course breakfast we put out each morning here! The specialized Agustin Eggs Benedict is just one of those plates guests are raving about! If you’re a foodie, you look for travel destinations with flavor and that is certainly what you’ll find here with us! The St Augustine, Florida restaurant scene is ripe with the flavors of different cultures spawned by a rich 450-year history and diverse culture. 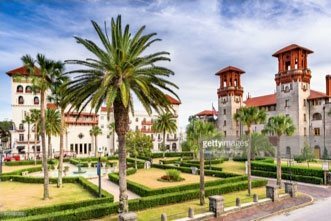 St. Augustine, Florida, the oldest city in the nation, was part of the Spanish Empire for far longer than it has been included in the United States. 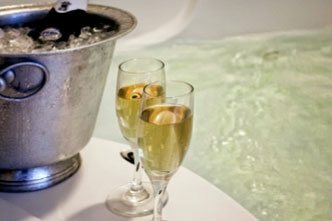 The area’s unique culinary scene is the result of a centuries-old cultural diversity that continues today and Spanish roots, spiced with Minorcan flair and blended with the very best in traditional Southern coastal cuisine, create a palate-pleasing menu that intrigues and pleases both foodies and folks who simply want to enjoy a memorable meal in a beautiful setting. Pair the area’s great dining scene with some flavorful events, an amazingly-located place for lodging like the Agustin Inn, 42 miles of pristine Atlantic beaches, arts and culture, world-class golf and plenty of old-world charm, and you’ve got a paradise like no other! While there’s much to see and do here in St. Augustine, sightseeing is just a way to pass the time between meals. Most plan their days around the eateries! Enjoy fine dining, eclectic bistros, wine bars and luscious local chocolatiers like Whetstones Chocolates only found in the nation’s oldest city of course. St Augustine, Florida restaurants offer fresh-from-the-ocean seafood, new-world cuisine and even traditional Southern comfort food. 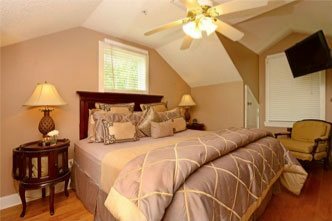 Here are some of our favorites within walking distance to the inn! Take time to browse these menus and don’t hesitate to seek our assistance to customize the perfect package including a romantic dinner for Valentine’s Day Weekend or simply a recommendation for something you’ll love!